It can be maddening when kids don’t listen. 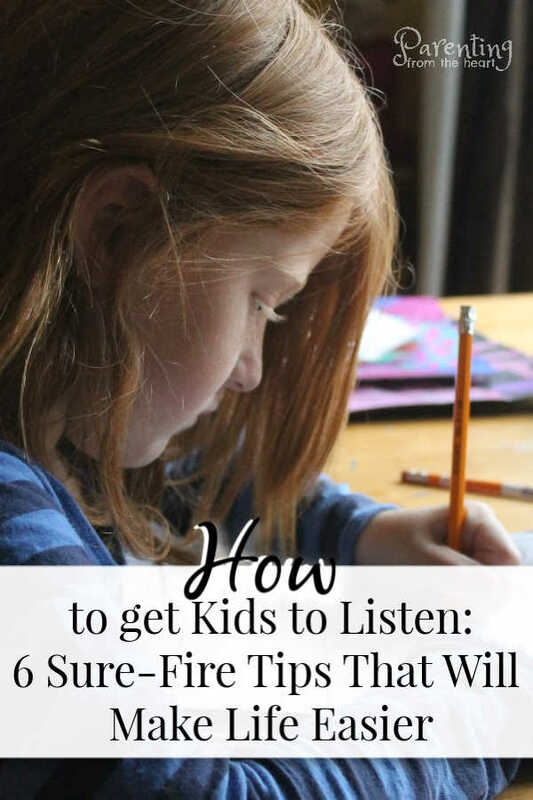 These are research-based strategies that will teach you how to get kids to listen calmly and effectively. The number one question I get from parents joining our facebook group or when emailing me is: How do I get my kids to listen better? The baby was underfoot as I juggled packing lunches and making breakfast. My body ached from a night of nursing. Because we were running behind, I would have to wait before I could start the coffee. While shoving frozen yogurt tubes and mini carrots into their brightly coloured lunch boxes, I told my school-aged kids it was time to get dressed. Their clothes were already laid out so there was no reason they couldn’t get ready in a timely manner. I scooped up the baby and grabbed the remote. With the TV off, they went upstairs. Minutes later, the coffee machine beeped. I had my cup of coffee but had yet to see a clothed child. So, I scooped up the baby and huffed my way up the stairs. I could see my daughter’s soft pink pyjamas in front of her bedroom door. A plastic hanger and clothing tags were on the floor. And she… well… she was dressed in her bright pink rash guard and tutu bathing suit bottoms. I didn’t know if I should laugh or cry or both. It’s because of moments like this the novelty of this meme still hasn’t worn off. Since that bathing-suit-clad morning, I have spent a considerable amount of time both reading and researching effective strategies on how to get kids to listen. And though I now have powerful and effective strategies to improve kids listening, I have some inconvenient truths too. Truth 1: No matter what strategies you use, kids won’t listen all the time. Thanks to the gift of free will, there is no magic combination of techniques, no matter how effective, that will result in kids listening all the time. Truth 2: Forcing kids isn’t a solution. When children don’t listen, it can be tempting to force them to comply. However, when anyone is coerced to do something, they lose their moral agency (1). They are not acting because they see the value in the behaviour or want to do good. Studies show the more a parent uses force, the less effective coercion becomes. In fact, children become more likely to rebel (2). They are also more likely to behave when the threat of punishment or the person who might punish is present, but do what they want when the threat isn’t there. Because of this, it is best to only use force in matters of safety. Such as when a child could get hurt or hurt another. Truth 3: Some kids listen better than others. For example, using these techniques on a child with an easy temperament will be relatively simple. Parents of strong-willed children will need more patience, creativity and adaptability when getting their children to listen. Truth 4: Just as kids won’t listen 100% of the time, you won’t get it right 100% of the time. These strategies work. But, they take practice before they become second nature. And, even when they do become second nature, there are still times you won’t perfectly execute. You’re human. Sometimes you’ll be tired and slip up. And, no matter what, there are no perfect nor near-perfect parents. If listening starts to slip, forgive yourself and then get back on track. 1. Ask yourself: have their basic needs been met? Has he eaten enough, slept enough, had enough downtime? Does she feel connected to me? Have I been listening and paying attention to her? Positive language is easier to listen to than negative language. During speaking events, as well as in the book The Yes Brain Child, Dr Daniel Siegel prompts people to close their eyes and say no repeatedly out loud. Then, he prompts them to say yes repeatedly and observe how they feel. During the no prompt, people report feeling shut down, defensive, and even agitated. During the yes component, people feel relief and at ease. Younger children find it less pleasant and more challenging to follow instructions when parents use negative language. This is because the child needs to listen to what you have said and deduce what he should be doing instead. While this may be obvious for an adult, for a little person who is loving the excitement of bowling over household items with his soccer ball, it is more challenging. Chances are, you would feel a little blindsided. Children respond similarly when we tell them what to do without any appreciation of their perspective. By connecting with your child before directing him to do something, you increase compliance. By appreciating what he’s doing, the child feels respected and is more inclined to cooperate. This approach will feel a bit foreign at first. But the more you use this approach with your children, the more it will feel like second nature. Appreciate what he’s doing before telling him what to do. The second component of this approach is to direct not request. Do you mind setting the table before dinner? 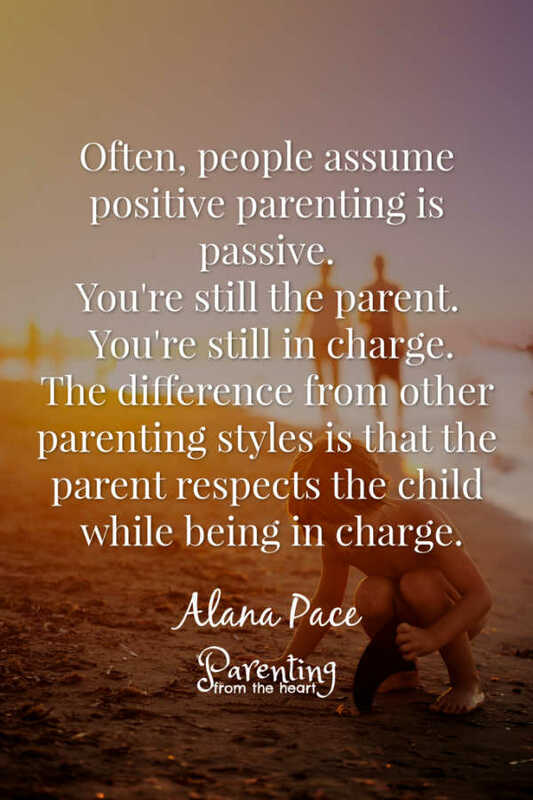 A common misconception about positive parenting is that it is passive. You are still the parent. You are still the one in charge. The only difference from other parenting styles is that you demonstrate respect for the child while being in charge. 4. Ask when they plan on completing a task. When I first read about this technique in the book, How to Talk so Kids Will Listen and How to Listen so Kids Will Talk, I thought that this idea would open me up to more power struggles. But, because the best selling book is chalked-full of practical tips and insights, I decided to give it a try. Only ask when your child plans on doing a chore if the timeline is negotiable. For example, if it’s okay for your child to start her homework any time over the course of the evening, ask when she plans on doing it. If your child comes up with an unrealistic timeline, like, “I’ll do my homework next year,” be clear about what will work. Once you two have agreed upon a reasonable timeline, such as when she finishes her TV show, back off and wait. Follow-up only if the agreed upon time comes and your child hasn’t followed through. Just as with other techniques outlined in the article, it will take some practice at first. Soon, you and your child will have less back and forth over chores and expectations because you will have clear expectations and he will feel respected. For younger children, it’s better to give two options with the same outcome. Do you want to start cleaning up the trains or the books first? Would you like to have one more slide or one more turn on the swings before we leave? The child feels like she has more control and the parent experiences fewer power struggles. 5. Drop lecturing. Use minimal language instead. Just as is the case when children hear no on repeat, when we lecture, their brains become less receptive to what we are saying. As such, when it comes to disciplining children, less is more. Most of the time, kids know when they’ve forgotten or ignored expectations. A reminder is much more effective than being berated. 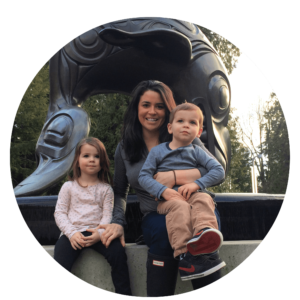 If a child is overwhelmed, unfocused, or simply struggling, your support likely is just what she needs. Whether it’s working beside him as he does his homework or cleaning up with her as she does her chores, everything becomes easier with scaffolding. Because children have their own free will, they won’t listen all the time. And because we are human, we won’t perfectly execute these strategies all the time. We want to raise children who want to do what’s right. And as such, we cannot force them and take away their moral agency. Instead, we need to adopt a balance of being firm and warmly guiding our kids. This approach takes practice. 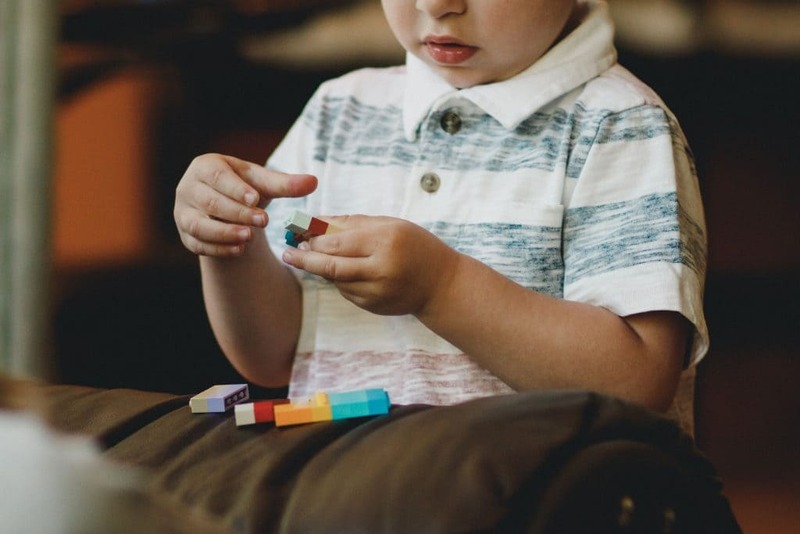 But the more we use these techniques the more our kids will not only listen but also embody our values even when we’re not around to guide them. Ultimately, this will make our jobs as parents easier.